Lorenzo will start from the fifth row in Qatar. 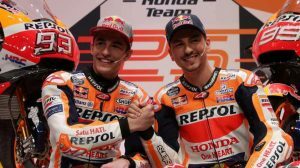 Jorge Lorenzo, who went to the ground twice during the day on Saturday, will start 15th in his first race as a Repsol Honda rider. He is physically touched after the first crash he suffered and believes that the delicate conditions that occur when temperatures drop can cause it to be a race by elimination. Jorge Lorenzo closed a very difficult Saturday in Qatar. The Repsol Honda rider suffered two crashes during the day; a strong crash just starting in FP3, in which there were a dorsal contusion and another slight during Q1 that left him without options to move to Q2. 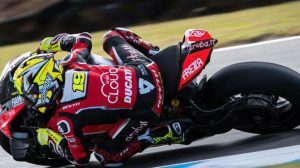 The Spaniard will start from the 15th position in his first race with Honda and he will also be in pain after the first crash he suffered yesterday, so the challenge is even greater. At the end of the day, the Spaniard explained in the microphone of MotoGP.com how he was physically and what had been his two falls: “It has been a host of negative circumstances that have influenced my fall in the afternoon. That high side that I have had has been due to many small things that have come together. Due to my inexperience with the bike, I have lost control and the impact has been very strong. My back has hurt right away; We still do not know very well what I have, it is probably not serious, but we have to try to check it better when we return to Europe or if it hurts a lot on Sunday morning ». Jorge Lorenzo, one of the most critical riders about the time of the MotoGP race in Qatar, was one of many who went to the ground when temperatures fell. The conditions from 20:00 h. (Qatar time), which is the time for which the race is scheduled, are quite delicate when temperatures start to drop and humidity increases. So, he believes it will be a survival race: “I came out quite sore to FP4 and Q1. I had another fall in Q1 due to very cold conditions and high humidity, so it’s going to be a survival race in general for everyone, but especially for me. 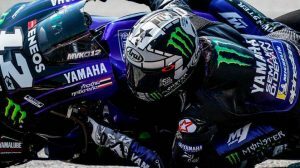 I have inexperience with the bike and not only I do have the problem of the wrist, but I am also sore all over my body, “said Jorge Lorenzo.